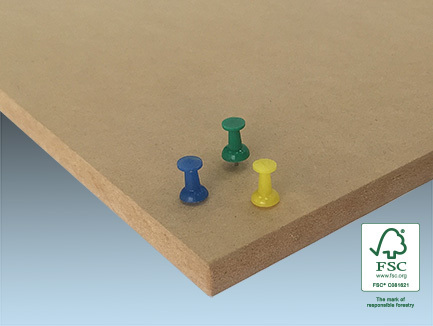 Customwood Pinnable LDF provides excellent tackability and greater board stability than comparative wood-fiber based panels. The special process used to produce Customwood Pinnable LDF results in very consistent thickness and density, which is ideal for tackable panel systems, tile systems and more. The smooth and blemish – free surface make this product ideal for fabric wrapping.